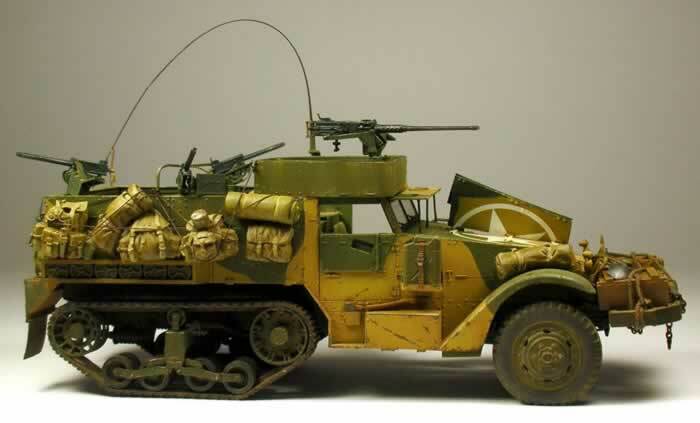 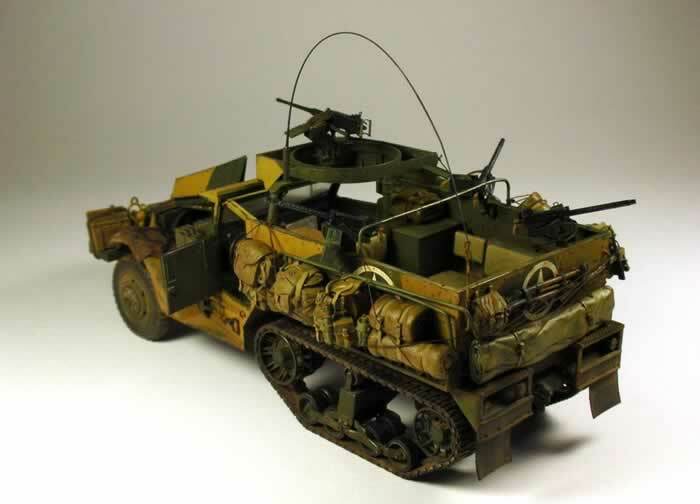 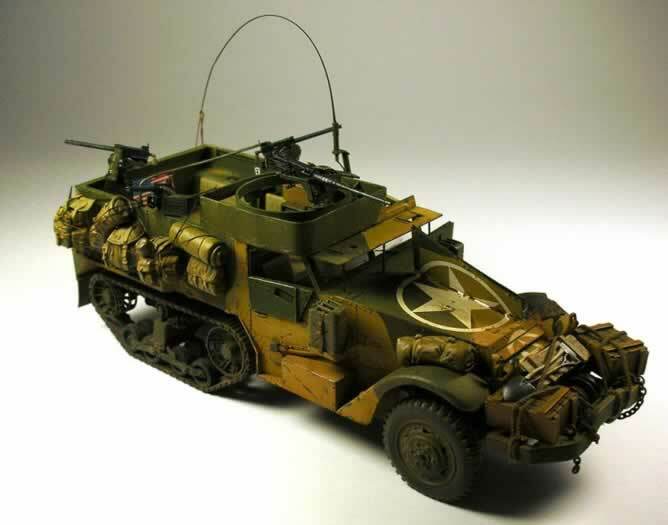 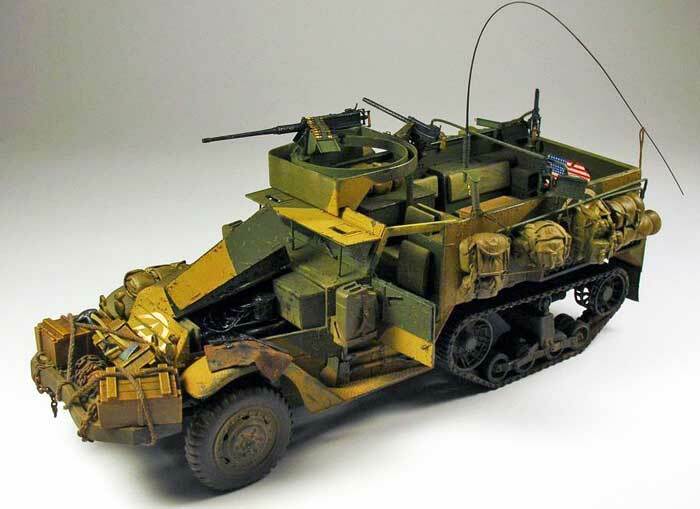 Here is my 1/35 scale Dragon M2A1 Half Track. 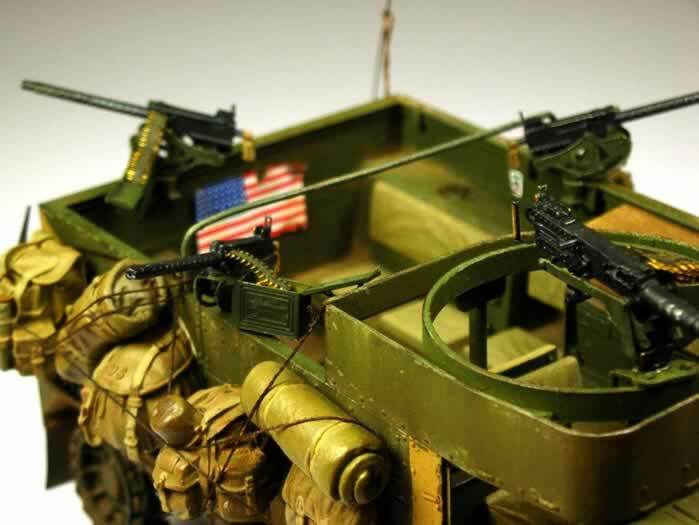 I added the Lion Roar photo etched parts (simple), and some Verlinden and Tamiya bags. 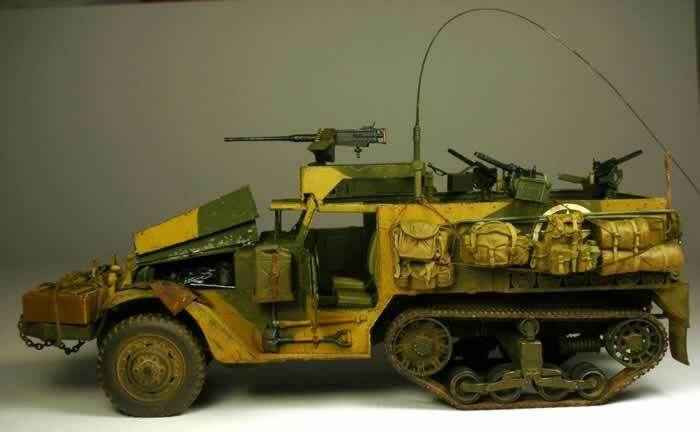 My model is painted with Tamiya acrylics and weathered with Mig Pigments and Tensocrom (Life Colors) Active Surface Agents.